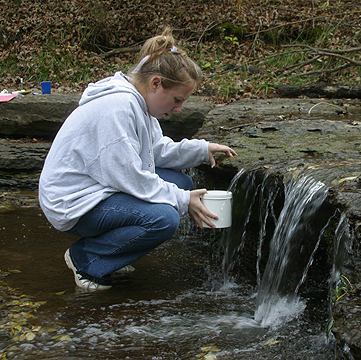 Below you will find a few photos illustrating some of the research that was conducted by students from Northern Hills Junior High School on 22 November 2004. The links at the bottom of the page (below the photos) are all related to Indian Creek and activities that have involved Indian Creek since the early 2000's. 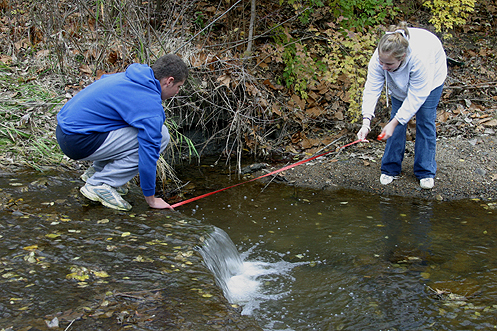 Click here to read a story that appeared in THE TOPEKA CAPITAL JOURNAL about some of the activities that Northern Hills Junior High School students have been conducting on Indian Creek. Click here to go to the official StreamLink website and check on some of the research that has been conducted by Northern Hills Junior High School Students. 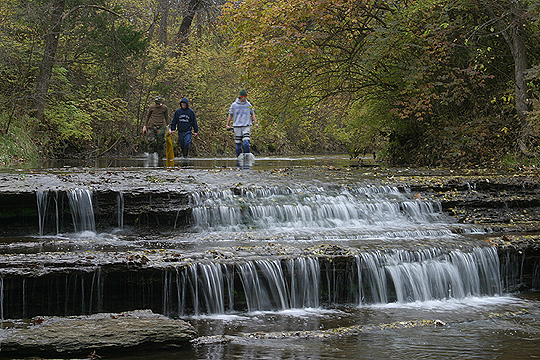 Click here to view a variety of photos taken in and along Indian Creek showing a variety of Northern Hills Junior School students learning about and exploring the stream that is located near their school in Shawnee County, Kansas. 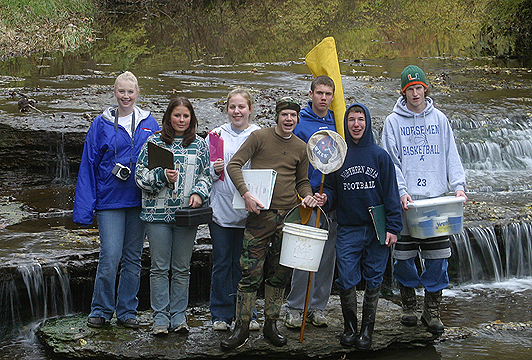 Click here to view some photos of Mr. Scott Petersen's biology students as they conduct research along Indian Creek during the fall of 2004. Click here to learn about the FOOD WEB OLYMPICS" that took place near Indian Creek during the fall of 2004. The counter is reset on a regular basis.